The trend in Kerala's airports was in sharp contrast to the passenger break-up at Delhi and Mumbai airports where domestic passengers outnumber those going overseas. THIRUVANANTHAPURAM: Riding high on expatriates toiling in West Asia, whose remittances have been a big boost to the state's economy, airports in Kerala have been catering to more international than domestic passengers. But the state is set to witness a dramatic turnaround with domestic traffic making rapid strides and on the verge of overtaking international passenger volume. Last fiscal's statistics from Cochin International Airport and Trivandrum International Airport show that they have narrowed down the gap between domestic and international passengers to about 47:53 and it is expected that domestic traffic will begin within a year or two. When it comes to Cochin International Airport, out of the 1 crore passengers who travelled through the airport last fiscal, 52 lakh were international passengers and 48 lakh were domestic travellers. Domestic passenger traffic registered a 22 per cent increase from the previous fiscal, while international traffic grew by just four per cent. Of the 44 lakh passengers who passed through Trivandrum airport last fiscal, 56 per cent were international, while 44 per cent were domestic travellers. In 2016-17, the break-up was 65 and 35 per cent, respectively. The growth rate was 22 per cent in domestic and 8 per cent in international passengers, giving ample evidence that domestic traffic is on the verge of surpassing international traffic at the state's two major airports. But at Calicut International Airport, overseas traffic still holds considerable sway as the growth was almost at a par with domestic traffic last fiscal. The number of overseas passengers rose from 22 lakh to 26 lakh, while domestic travellers increased from 4.3 lakh to 5.1 lakh. According to Trivandrum airport director George G Tharakan, the growth in domestic traffic has been high in recent years and the time is not far away when domestic passengers will outnumber international ones in Kerala. There was a time when Trivandrum airport had to stop domestic flight operations at night as there were only four domestic services per day. But now the domestic terminal is bustling with passengers both day and night with daily domestic flight operations soaring to 16, said Tharakan. The emergence of budget carriers and the rise in spending power of the average Malayali is boding well for the domestic air traffic sector. Airport authorities are now planning to launch more facilities at domestic terminals in order to cope with rising domestic traffic, he said. Cochin International Airport Ltd managing director V J Kurien said the airport is hopeful of coping up with the extraordinary growth being witnessed in the domestic aviation sector by starting operations from Terminal 1, which is being renovated and will be operational in May. In an interview with 'Express' in February, AirAsia India MD and CEO Amar Abrol had said that before the airline had started the Kochi-Bengaluru service in July 2014, there were less than five daily flights operated by others. "In 2014, when we started flying to Kochi, other airlines quickly increased their capacity in this segment. We are proud to have created a large demand for air travel in this leisure and corporate segment. 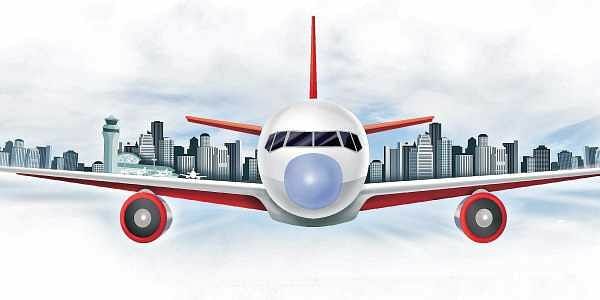 Today, there are about 14 daily flights connecting Kochi with Bengaluru, growing by almost 300 per cent in two-and-a-half years," he said.